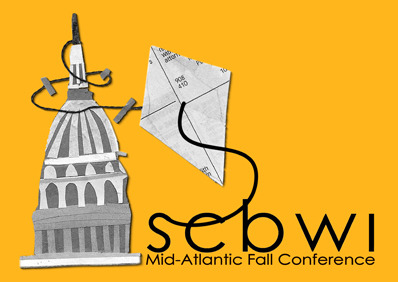 There are only a few more days to register for the SCBWI Mid-Atlantic Annual Fall Conference on October 19-20, in Sterling, Virginia. The keynote speaker is Karen Cushman, author of Will Sparrow’s Road and the Newbery Award-winner The Midwife’s Apprentice. Other faculty includes Tracey Adams, Kwame Alexander, Mary Amato, Ellen R. Braaf, Cynthia Cotten, Kelley Cunningham, Lezlie Evans, Amanda Luedeke, Emily Meehan, Daniel Nayeri, Anne Marie Pace, Valerie O. Patterson, Mary Quattlebaum, Candice Ransom, Joan Waites, Tina Wexler and Carolyn P. Yoder. 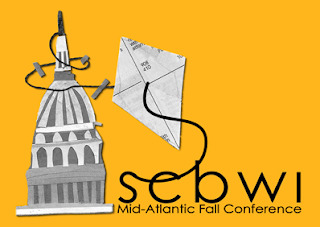 Visit www.regonline.com/scbwimidatlanticconf for more information and to register.